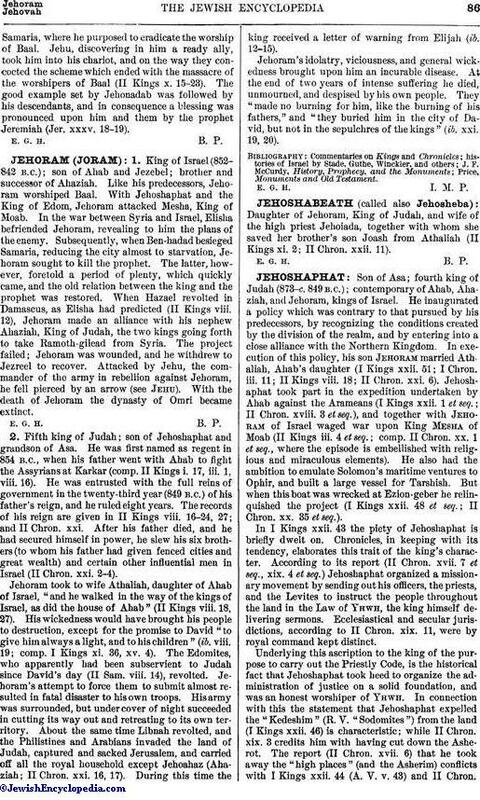 Daughter of Jehoram, King of Judah, and wife of the high priest Jehoiada, together with whom she saved her brother's son Joash from Athaliah (II Kings xi. 2; II Chron. xxii. 11).